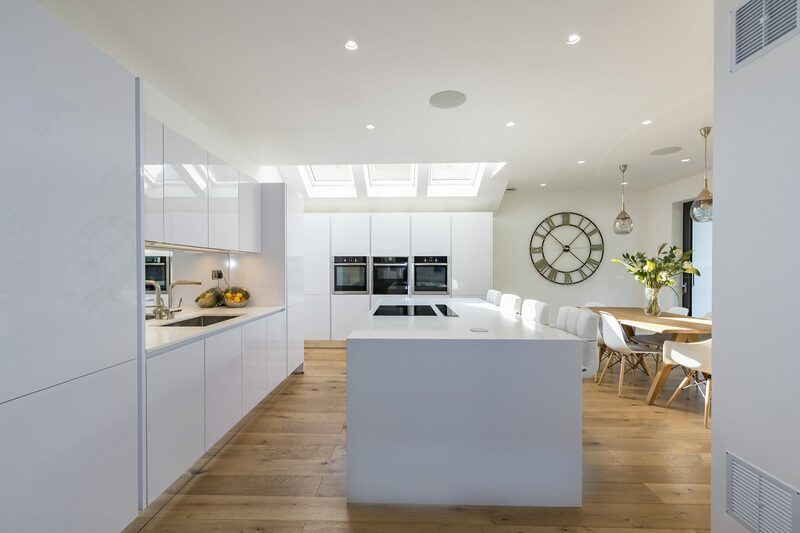 View our latest projects in East Sheen, what kitchen, appliances and accessories brands have been used to create those amazing designs, you can also view customers reviews on these designs. STONEHAM Shaker-style cabinetry in bespoke colours Hicks’ Blue and Bone China Blue, from Little Greene. Stylish Dekton worktop and outstanding appliances. Kitchen Furniture: STONEHAM Edwardian in bespoke colours Hicks’ Blue and Bone China Blue, from Little Greene. 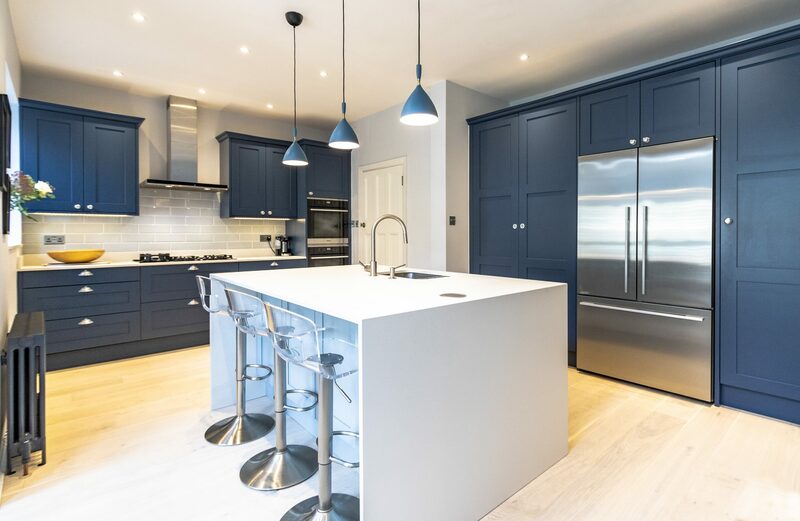 To bring in this classic and sumptuous Kitchen look, the owners have opted for STONEHAM Edwardian shaker-style cabinetry in two different tones of blue. These two vibrant shades of blue, Hicks Blue and Bone China Blue, are bespoke colours from Little Grene. Little Greene is an independent London based, British paint manufacturer, offering high-quality paints and wallpapers.  Their paints have a much higher pigment levels (over 40% more pigment than many ordinary paints), which ensures the end product bears an unequalled depth of colour and outstanding colour finish. They have on offer a sophisticated and indulgent colour palette, guaranteed to transform and bring rooms to life, by refining any colour scheme. Perfect for domestic and commercial use, Little Greene paints are a synonym of long-lasting durability and elegance. Undoubtedly, these two rich shades of blue are perfect for the classic and refined look of the Kitchen, because they are full of personality and warmth, and help to create a welcoming space. The wall and base cabinets, as well as the tall units are in a darker shade than the island, creating a strong visual impact. The colour transition brought in by the lighter tone of the island harmonises the colour scheme and keeps the look light and airy. The polished white surfaces of the worktop in Dekton Zenith White, paired with the neutral tone of the metro tiles allows the outside light flooding in from the adjacent areas to bounce back into the room and its contrast with the rich blue tones is instantly uplifting. Finally, the gorgeous plate cup handles and knobs, a traditional element of shaker-style fronts, go perfectly with the electric appliances, especially the free-standing Fisher & Paykal American Style Fridge Freezer, completing this timeless classic Kitchen look. Here, the efficient use of space and clever positioning of storage and appliances means this is a highly functional and practical Kitchen. The Siemens gas hob chosen for this Kitchen is versatile and responsive. It’ll certainly bring joy into cooking. Professional and amateur cooks alike appreciate the advantages of cooking over an open flame with a hood above, and the Siemens appliances chosen here gives them the ideal way to do it. With the gas hob, pots and pans heat up quickly and food is ready on the dot. The surfaces of gas hobs are made of ceramic and stainless steel, with enamelled cast-iron pan supports. A 90cm gas cooker with 5-burner gas hob, like the one here, surely looks quite impressive. On the same token, the Miele double ovens have plenty of cooking settings to suit any food being prepared. Not only do they cook, bake and grill to perfection, but they are also roomy and look great in their silver finish, definitely complementing the colour scheme. Little details can make a big difference. Special features like low energy consumption and the built-in pyrolytic function (a heating up element to ensure easy maintenance and easiness to clean), reserve a spot for it on the list of things every household must have. A functional design, clever storage solutions and outstanding electric appliances, is all that is needed to bring a contemporary edge to a timeless classic Kitchen. Even the smallest details can have a major impact. Case in point: this gorgeous ‘slide and hide’ pantry unit. It offers a multitude of hidden storage options, including spacious shelves and drawers, completed with clever LED internal lighting for extra easier accessibility. The elegant island with breakfast bar, nicely complemented by the sleek bar stools, offer a sociable space for family and friends to sit and chat while food is being prepared. Another successful project from Richmond Kitchens.